The fanfare that surrounded 2014s The Satanist was not an unwarranted reaction and for Behemoth it marked a significant turning point. Hailed as a modern classic almost immediately and allowing the Polish band to reach the upper echelons of the extreme metal scene with huge tours both in Europe and America, headlining festival appearances where they played the record in full and giving frontman Nergal even more reasons to add to his ego – the album is a masterclass in black/death metal and is rightly seen as one of the best extreme metal albums of the last decade. Following up such a lauded album is always a tricky task and many bands fail to reach the heights of their previous work (although many often surpass it) and for Behemoth the spotlight was squarely on what they would do next. I Loved You at Your Darkest is by no means a bad record but it certainly doesn’t match the techniques and excitement and utter blasphemy of The Satanist. Comparing a discography can often come off as unfair to the band as they should of course be able to evolve over time but I Loved You at Your Darkest seems like a step backwards for the trio. It’s been four years since their last album but taking time to curate and breathe life into an album should be a priority over the money-making machine that Behemoth have found themselves to be a part of. Black metal isn’t generally that commercial but Behemoth have found a way to monetise almost every part of their brand – releasing a dog food to coincide with the album launch (and the single “Dog = God) is either genius or stupid. I Loved You at Your Darkest is certainly a Behemoth record at its core – the guitars have the recognisable tone that was used on The Satanist and for the most part the songs are catchy and heavy in equal measure. The disappointment lies in the disconnect between the material and the band, as if they felt they should release a new record by now and pulled a bunch of leftover tracks from The Satanist sessions and tried to make something work. The intro of “Solve” features a children’s choir chant and whereas Behemoth were likely trying to come off as blasphemous as possible (“Guys, wouldn’t it be like, totally anti-Christian to have kids shouting about Satan?”) it comes across as kitschy and in poor taste and unfortunately it’s a tactic used again in “God = Dog,” the lead single from the record – a song that is almost perfect up until this point. Nergal’s vocal performance is strong and deathly evil and the guitars that lead the solo are gorgeous and rich but kids shouting in the background doesn’t add anything interesting to the atmosphere. Gregorian chants are probably overdone in black/death metal by this point but they would have added a much more ecclesiastical and profane tone to the song. It’s not all bad news, though, and fans of Behemoth will definitely enjoy a lot of the material here. “Ecclesia Diabolica Catholica” is a pounding beast of a song that showcases dastardly rhythm and a terrifically quick pace that lifts the album immediately from the depths that have come before. Inferno’s drum work comes through extremely well, the production giving the instrument a beautifully warm feeling while clean choral vocals (used to excellent effect at last) are a shimmering moment in the song. Nergal’s lyrics are at their sacrilegious best and it seems as though I Loved You at Your Darkest finally hits its stride. “Bartzabel” is deftly catchy and features a wonderful guitar solo while “If Crucifixion Was Not Enough” is a punchy track that strips back some of the overblown elements of the Behemoth sound and instead gives us more of the straightforward blackened sound the band has been known for since their beginnings in the early 90s. “Angelvs XIII” gives us a slower pace and opens the band up for crunched down riffs and doomier elements which allow for a small amount of respite within a record that is constantly pushing forward. 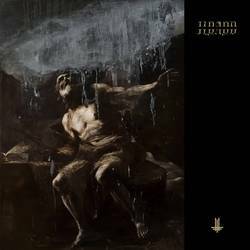 There's an excellent run of songs here that do much to pull Behemoth from the abyss they could have been floundering in but the pace is dropped again until “We Are the Next 1000 Years” which plays with a gorgeous post-rock style at its mid-point; echoing, shimmering guitars lie in the shadows of the song giving a sorrowful edge to the rage that Nergal spews forth. It’s a beautiful moment on a record that is otherwise rammed with fire and fury and if Behemoth explored this side of themselves then I Loved You at Your Darkest would be infinitely better for it. It’s a shame that such an interesting and mournful section should come so late in the album and it’s a greater shame still that the closing of the album is left to “Coagula” and it’s trumpeting brass – a sound we’ve heard plenty of on The Satanist – which does nothing to add to the overall feeling of the album and instead leaves an anti-climactic taste in your mouth. Posted Oct. 22, 2018, 10:26 p.m.